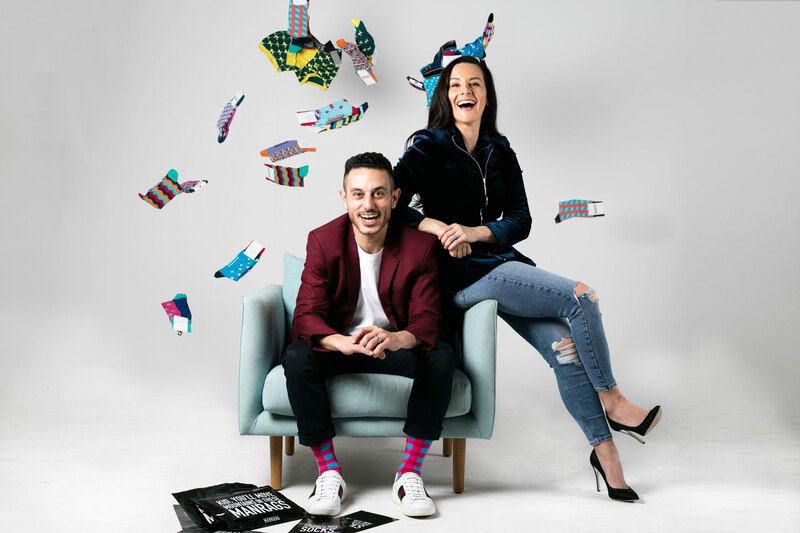 It started with zany socks in the office, but now subscription-for-essentials startup Manrags is reporting 100% year-on-year revenue growth and inviting its dedicated community to invest through its Equitise equity crowdfunding campaign. Manrags was founded two-and-a-half years ago by husband and wife team Michael and Tina Elias, who styled the service as a community-led essentials club. Subscribers choose the product, or products, they would like to receive and how regularly, and receive Egyptian cotton undies and socks delivered to their door. 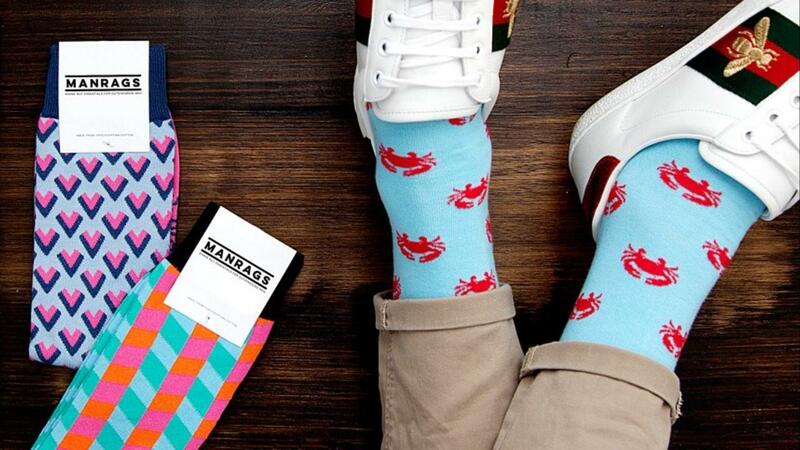 Michael Elias, an ex-executive at a big-four bank, tells StartupSmart the idea was born from his own penchant to wear quirky socks in the office, and his struggle to find a good-quality pair that was to his liking. The platform was officially launched in June 2016, and within six months, Manrags had more than 1,000 subscribers. Two years later, it has more than 7,000, and has seen revenues increasing 100% year-on-year, according to Elias. Elias says the founders “always knew we wanted to go down the path of subscription”. Subscription models were becoming more and more popular with the rise of Netflix, and now anything from cars to event tickets are available via a subscription. “The trend was growing, people were familiarising themselves and responding better,” he says. Manrags provides essentials, he adds, and “people need to replenish their essentials”. Now, the founders have turned to equity crowdfunding to kick-start their next phase of growth, with a target of $300,000. At the time of publishing, the Manrags Equitise campaign had raised $145,250, with 13 days left to go. Rather than just a sock retailer, Elias describes Manrags as a club with “genuine relationships with our community”. While the startup had originally planned to start stocking ties after establishing its socks service, Elias admits “that was more reflective of my view of what the world wanted”. A survey of subscribers found that only 21% actually wear a tie either ‘sometimes’ or ‘always’. Feedback was showing a demand for a more essential kind of essential, underwear, and the Manrags boxers and briefs range launched in April last year. The startup has seen healthy organic growth so far, and Elias says the founders hadn’t really considered raising capital until investors started coming to them. However, when one such investor offered them “a large sum” for 50% of the business, “that brought to our attention the opportunity to grow and scale”. When it came to how to raise that capital, equity crowdfunding was the obvious choice, he says. “Our community has gotten us to where we are today … we have chosen to go down this path to really bring our community on board in this journey,” Elias adds. Although the startup has only ever run marketing campaigns in Australia, it has subscribers in 31 countries, and “advocacy has been a big part of that”, Elias says. Two-thirds of customers refer friends to the service, and about a fifth of those referrals become subscribers, he says. Equity crowdfunding is a way of raising capital that stays true to the “community-forward approach” Manrags has taken since day one, allowing that community to get even more involved if they wish. “Our growth has been driven by our community, hence the decision to bring the community on the journey. They can own a piece of it,” Elias says. When the equity crowdfunding campaign is complete, Manrags has plans to branch out to women’s essentials with a new subscription club, Ms Sous. It’s also moving into basics t-shirts, and focusing on further growing and scaling Manrags, including into more international markets. “The general public doesn’t want to have to go out and buy socks and jocks,” Elias says. He says people would rather not choose their own patterns and styles, as long as they “trust what you’re providing them” in terms of design and quality. The startup is “nowhere near finished”, says Elias, who sees an opportunity to “grow into something more reputable and larger in scale”, and a chance to “pivot into other essentials”. Manrags socks may be a small part of any outfit, but “there’s a lot of serious stuff going on in the world”, Elias says. “To be able to be a bit playful, sit back and not always be so serious has been a driver of who we are,” he adds.